I was presenting at a local businesswomen’s networking event this week and I asked the ladies in the room to take part in an exercise: to define their top three core values. They found it hard: really hard. To try to define everything you stand for, and do, in just three words, is hard. Try it for yourself. Identify your top three core values. These are most probably one or maybe two words each – words that really resonate with you. Values that you feel you and your brand stand for above all else. Values that if you were to be cut in half, you would have running through you like a stick of rock. Authentic – wherever you encounter me, be it in person, on Facebook or at the top of a fell, I’m the same Sam. I don’t have a different business persona to my personal one. What you see is what you get with me, no matter the media in which you engage with me. Creative – in thinking and problem-solving. I’m really good at being able to see the bigger picture to a challenge, then looking for innovative and inventive ways to tackle it. Empowering – it’s my mantra. I just love helping someone when I know I can make a difference. I’m often asked why I offer a free marketing planning call and it’s because sometimes just a different perspective is all that’s needed to solve a problem they have had for many years. I love that feeling that someone has shifted their thinking because of a conversation we’ve had. Enough about mine – what are yours? Although I like every one of these, authentic, creative and empowering really stood out for me. Maybe you see some other words that mean something to you in this list? Ok, I have my 3 core values – now what? Go to your website, your marketing materials, and your social media presence. Look at them all very, very carefully. And ask yourself the $64,000 question – do they reflect and portray your core values? Everything you are and do, from the way you dress and present yourself, to the images and information on your website, right through each and every social media update, picture, blog and comment, all must have your core values running through them like a stick of rock. Some agents do this really well. 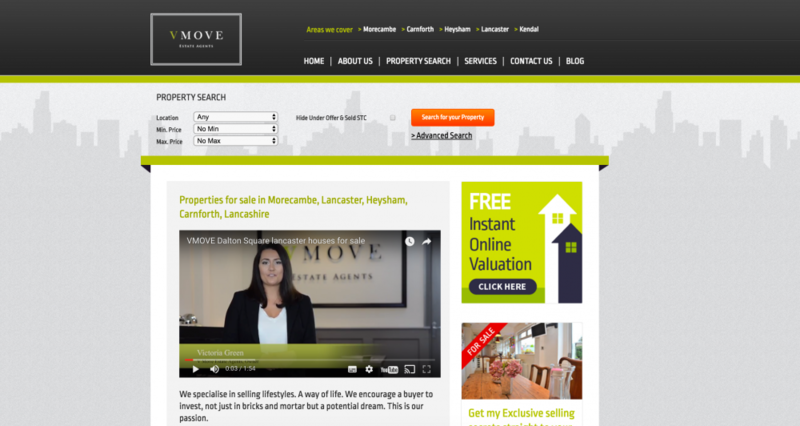 VMove’s home page opens with a video, which portrays all three of her core values strongly. In person, Victoria shows her passion, the images are beautiful and stylish, demonstrating prestige, and her lovely, lively style is above all, personal. Victoria’s Facebook page is a mixture of informative, engaging and entertaining updates, articles and images. Just reading her five star reviews leaves you in no doubt that her passion sells houses effectively and that her service always retains the personal touch. The images on Victoria’s Facebook page never compromise on quality, but are always beautiful, stylish and expertly shot, demonstrating prestige throughout. Victoria’s Twitter feed is entertaining and very personal. Her irreverent and self-mocking tone is engaging, and her updates genuinely funny. She shares personal information about what she and her family are doing, articles that demonstrate her clear passion for her clients and their homes, and her home staging and property styling advice leaves no doubt as to her commitment to build a prestige portfolio of beautiful properties. The dark blue background colour of Alex’s website gives an instant feeling of quality and elegance. The images with their dusky pink and grey tones also promote these elements, so a visitor feels reassured they are in safe hands, that they are engaging with an estate agent who has integrity. The Twitter feed for Alexandra West is consistent with her brand, and full of beautiful elegant images. She showcases local information and promotes her Lancashire location, showing integrity, and her property images are carefully photographed, demonstrating quality. All the videos on Alexandra West’s YouTube channel are elegantly composed, showcase quality properties and through her attention to detail, demonstrate Alex’s professional integrity. The YouTube channel banner echoes those of her Facebook and Twitter profiles, reassuring visitors with her brand consistency. As you can see from these lovely ladies’ online profiles, they clearly portray their three core values in everything they share. However, it doesn’t end there. Your core values also need to be evident in the way you present yourself in person. If you know or have the opportunity to meet Victoria or Alex, you’ll see that they both personify their core values in the way they present themselves too. Identifying your core values is such an important part of your personal and professional brand image. It’s what separates the super-successful businesses from the also-rans. If you’d like some help identifying your core values, and assessing their presence in your online persona, I’d like to offer you a free 30 minute phone call with me. Just click here to answer some short questions about your business and we’ll arrange to have a chat very soon.